When you've read every single book by a favourite author, it's always an exciting day when they launch a new series. Such is the case with Lauren Carr and ICE. All her previous book series centered around characters that were in some way connected. With the Chris Matheson Cold Case Mystery series we step into a whole new world. Chris Matheson is a strong male character, a former FBI agent and a single dad of three girls. He moves home to the family farm to live with his mum after his dad dies so they can help each other. Due to circumstances, his return home is not easy. Many years before Sandy Lipton, girl he went to high school with, had accused him of getting her pregnant. Shortly before giving birth she mysteriously disappeared. While Chris denied any involvement with Sandy, there is no way to prove his innocence as she literally vanished into thin air. Enter the Geezer Squad. Disguised as a book club, this group of retired professional men and women discreetly look into solving cold cases. Chris Matheson is brought into the club not really knowing it was more than a book club, but he quickly becomes a part. After he shares Sandy's story, the group decides to step in. As the mystery surrounding the young teenager's disappearance slowly begins to unfold, the danger increases. Chris finds himself working closely with a member of the local police - Helen Clarke - his first love who broke his heart for reasons unknown. The suspects continue to multiply as the two find themselves drawn closer together, their passion reigniting. The ending, when it comes, will surprise you. 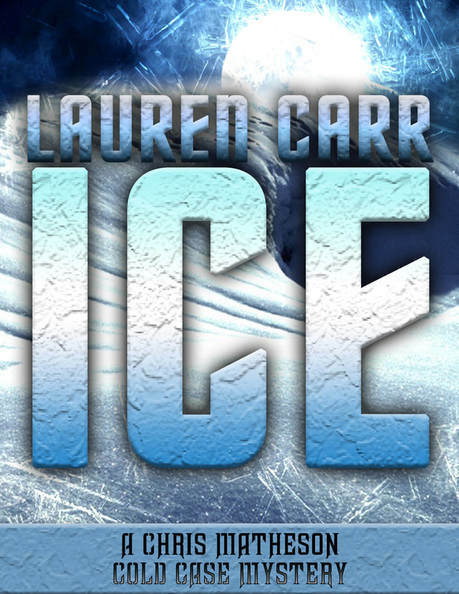 ICE holds many of the elements Lauren Carr fans love about her books - strong, independent male and female characters, wonderful dogs full of character, a mystery that needs solving, a bit of humour and a good splash of danger. However, this series has a bit of a darker flavour to it which I loved. Not too much. Just enough to keep me turning those pages one after another. Fab new behind the scenes author interview - HERE! 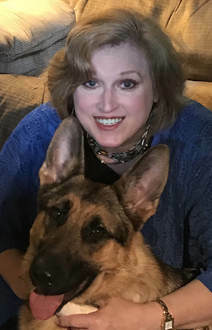 Previous Author Interview covering her journey to become a writer - HERE!